to increase awareness of sun bears internationally. These aims work to ensure the absolute right of every bear to live in the forest. Creating the capacity to confiscate, rehabilitate and release suitable orphaned and ex-captive bears back into the wild. Providing an improved long-term living environment for captive bears that cannot be released. Educating the public and raising awareness about this species. Achieving increased protection for sun bears and their habitat through ongoing research, increased knowledge and awareness, and further protection of habitat. Serve as a half-way house for confiscated/orphaned bears before release back into the wild; provide rehabilitation and training/survival skills for individual release. Serve as a permanent home for confiscated/orphaned bears that cannot be put back into the wild. Provide a humane, comfortable, and stimulating environment for captive sun bears over both the short- and long-term. Provide a much-needed location for the care and housing of newly confiscated/rescued bears. Assist the government in enforcement efforts by providing a place for confiscated animals and a program for successful reintroduction. Present captive bears as wildlife ambassadors for Borneo and for conservation of wild sun bears and their habitat. 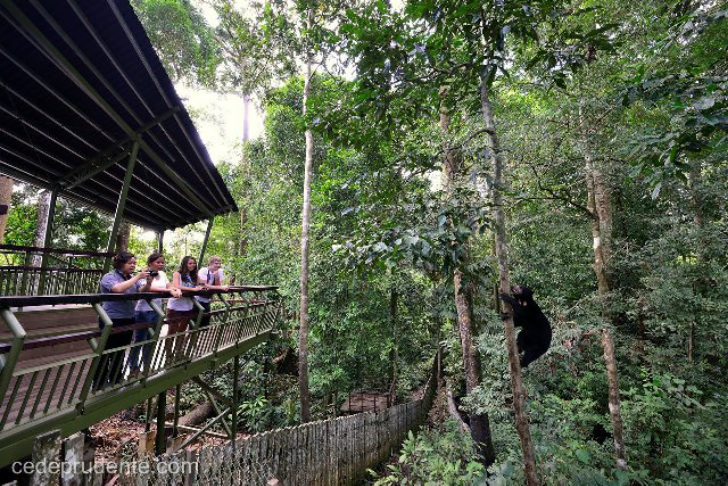 Provide a memorable visitor experience to promote awareness of sun bears and threats to their survival. Promote tourism around Sepilok as well as wild areas in Borneo by raising awareness of a new charismatic flagship species. 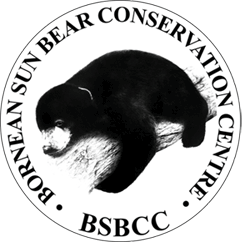 Promote further research on sun bears, including sun bear breeding patterns, social interactions, use of the forest, health and genetic status, behavior, captive breeding, rehabilitation and enrichment. Provide capacity building for further research and conservation of sun bears in the wild.